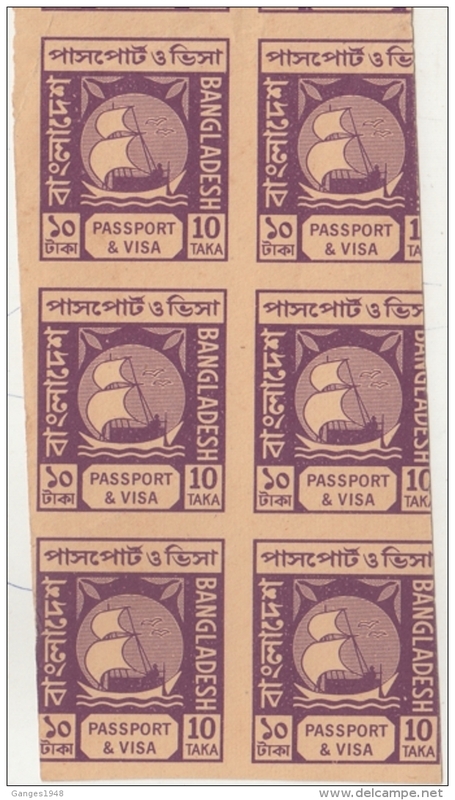 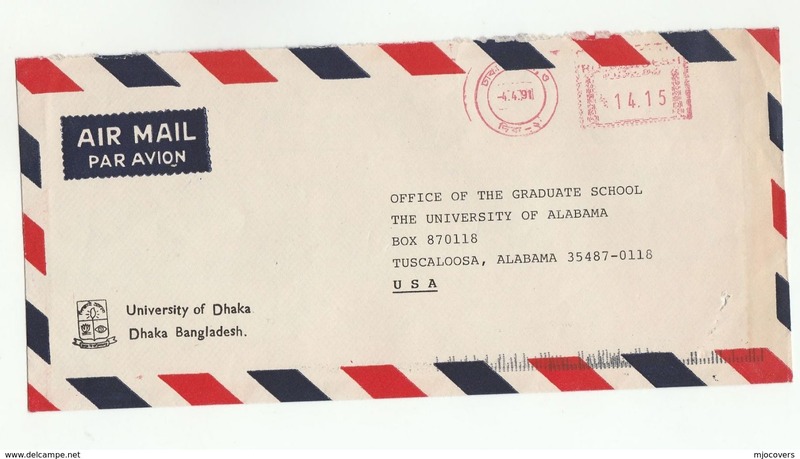 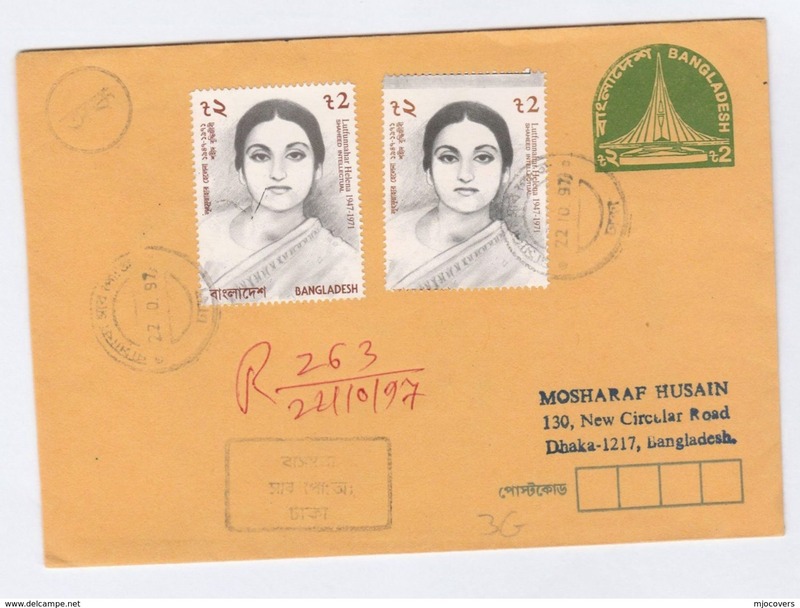 bangladesh block2b (complete issue) unmounted mint / never hinged 1976 Independence the U.S.
Bangladesh small card containing a few commemorative stamps. 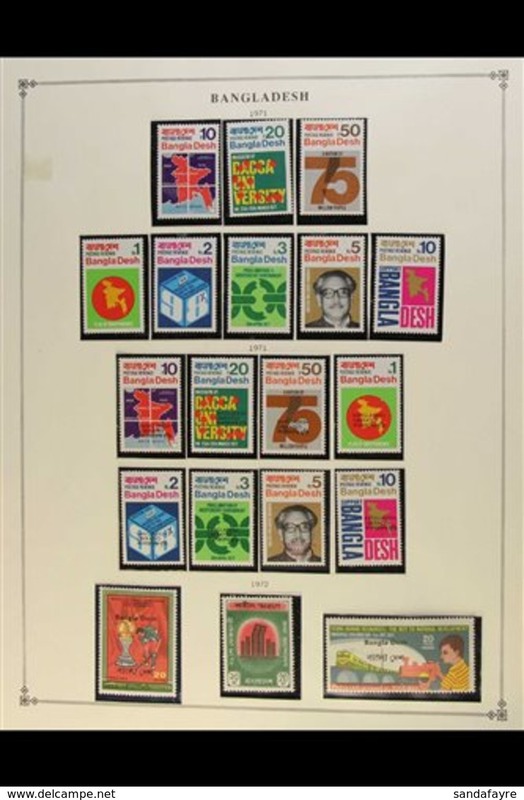 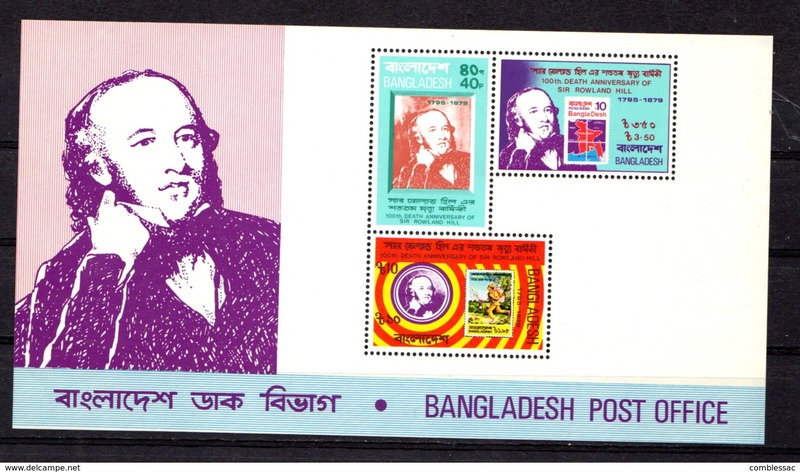 Bangladesh 1977 set of stamps issued to celebrate 15th Anniversary of Postal Union. 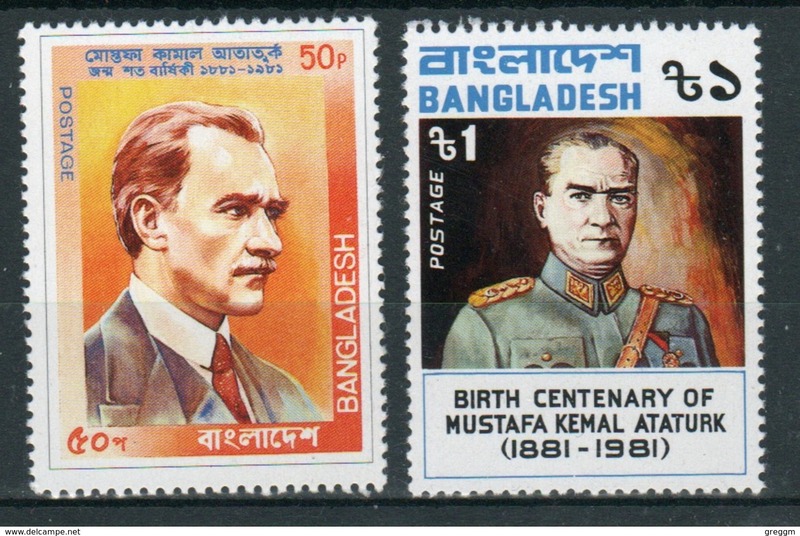 Bangladesh 1981 set of stamps issued to celebrate Birth Centenary of Kemal Ataturk. 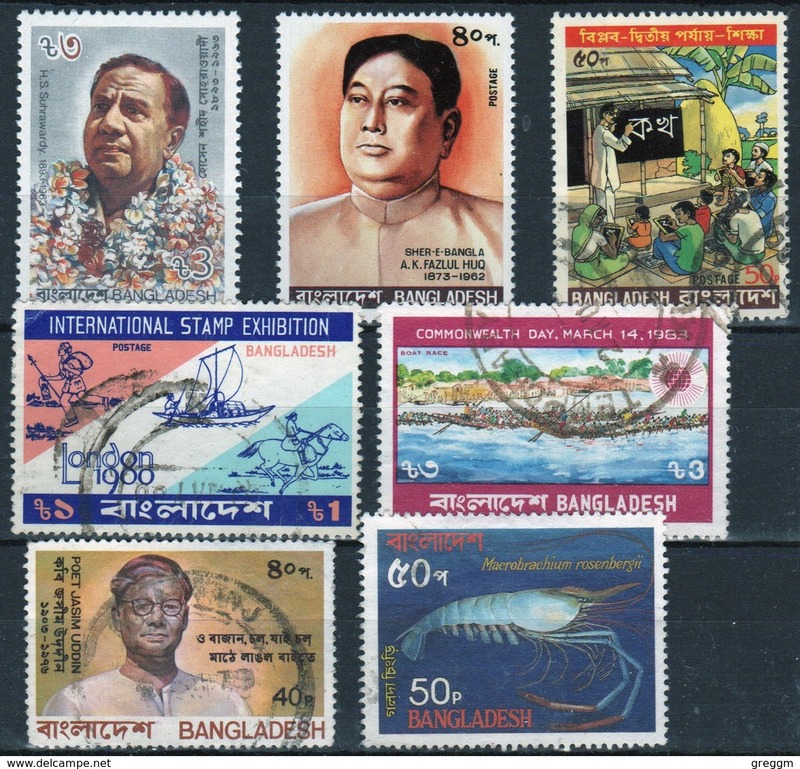 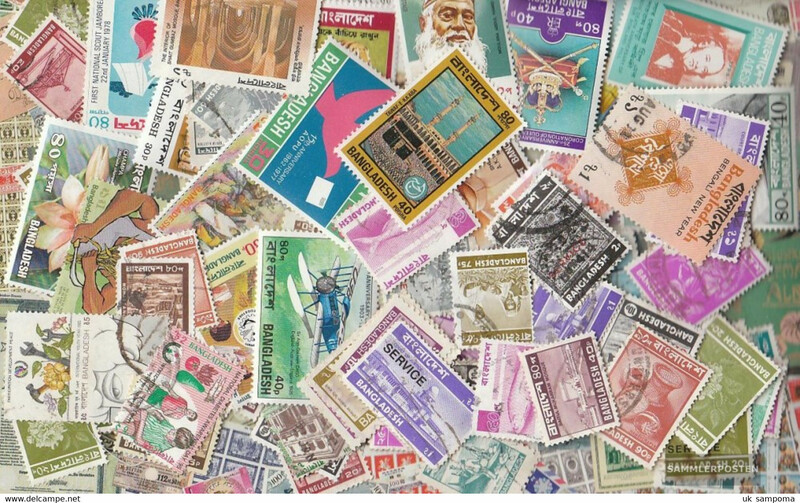 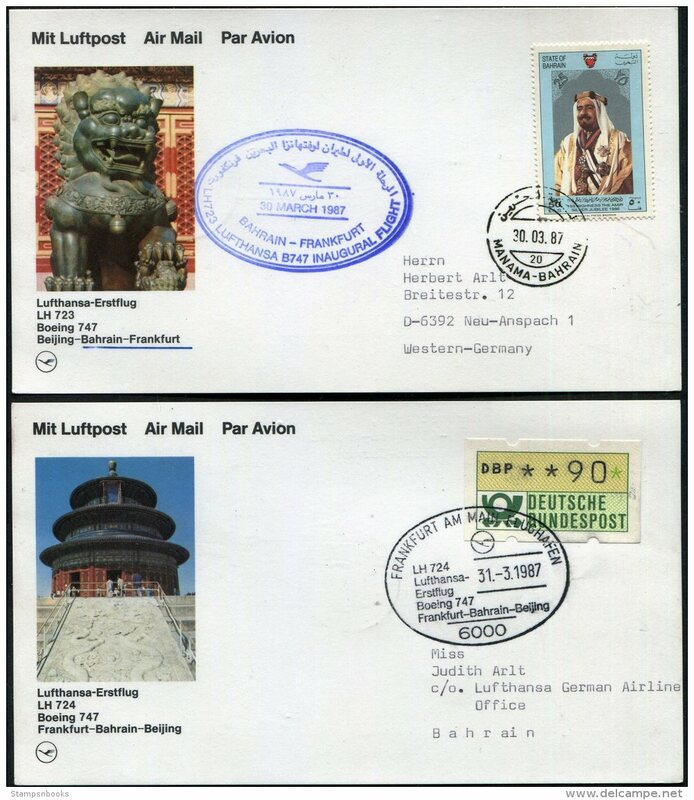 Bangladesh 1987 set of stamps issued to celebrate International Year for the Homeless. 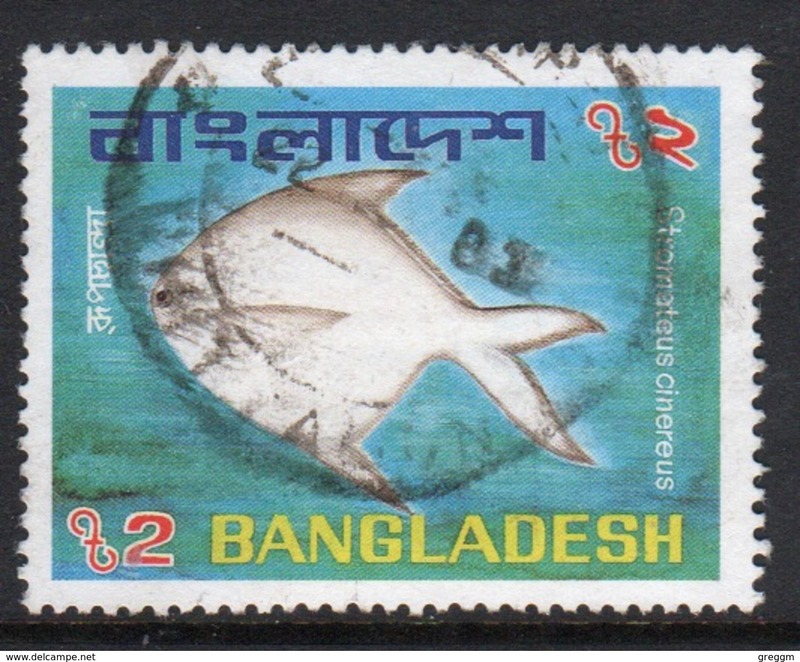 Bangladesh 1983 single stamp to celebrate Marine Life. 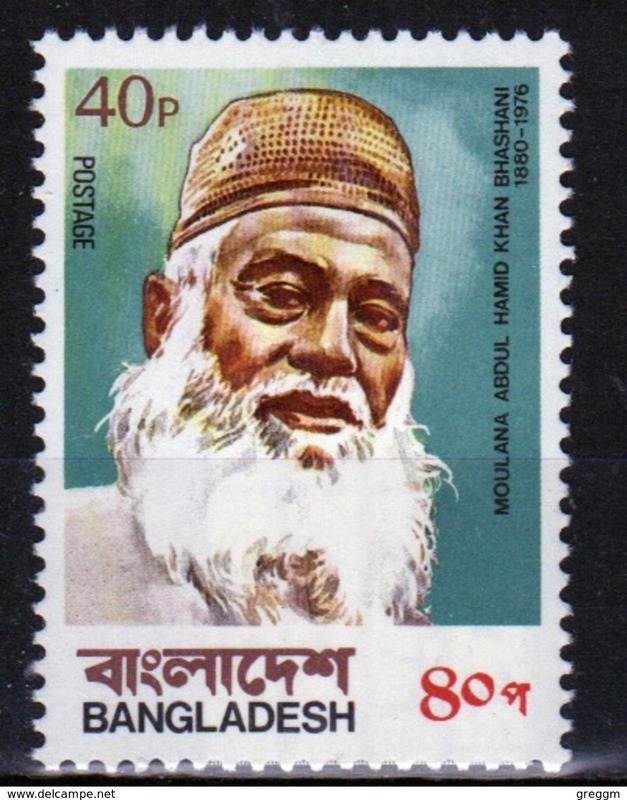 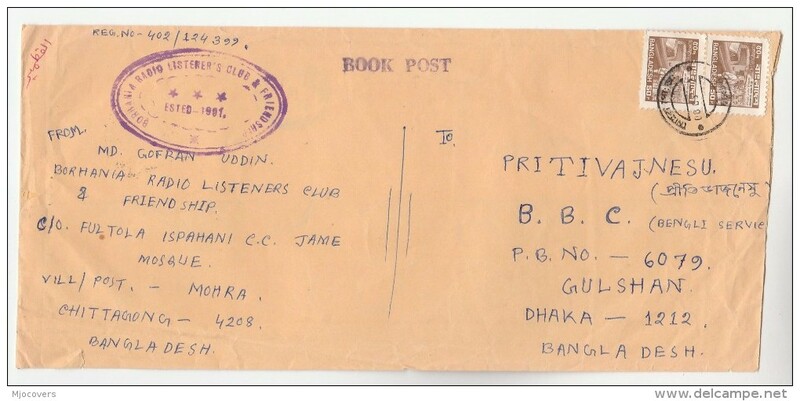 Bangladesh 1979 single stamp to celebrate 3rd Death Anniversary of Moulana Abdul Hamid Khan. 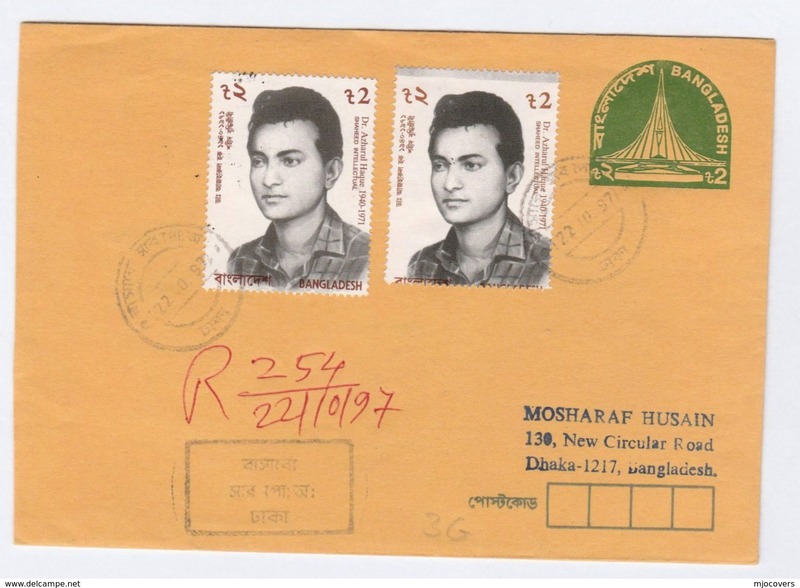 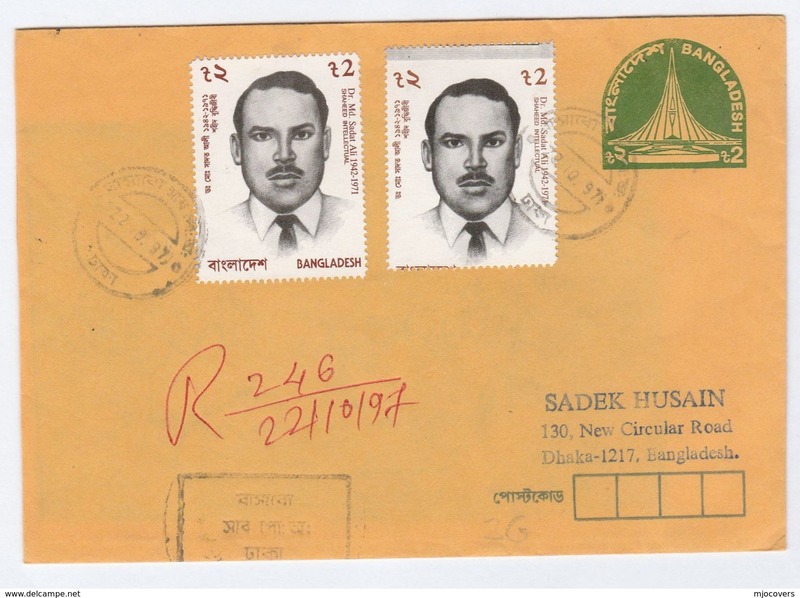 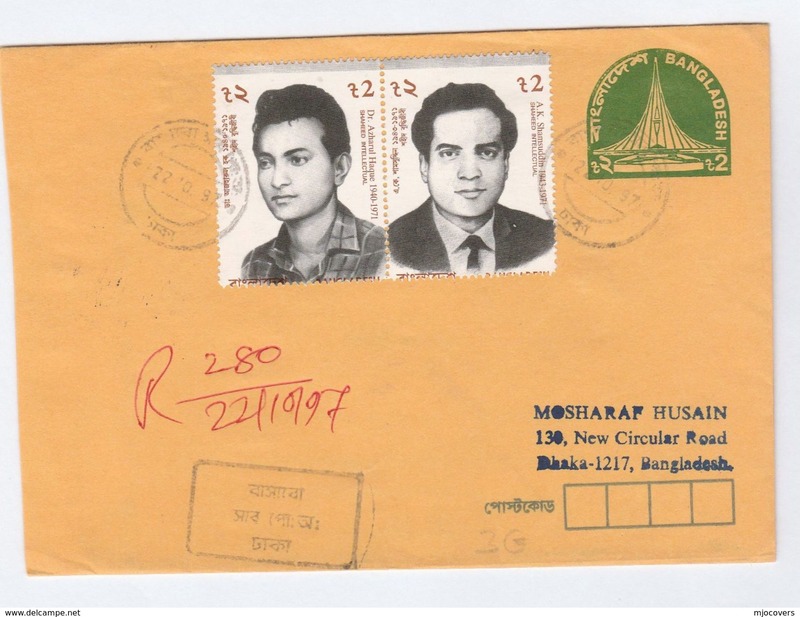 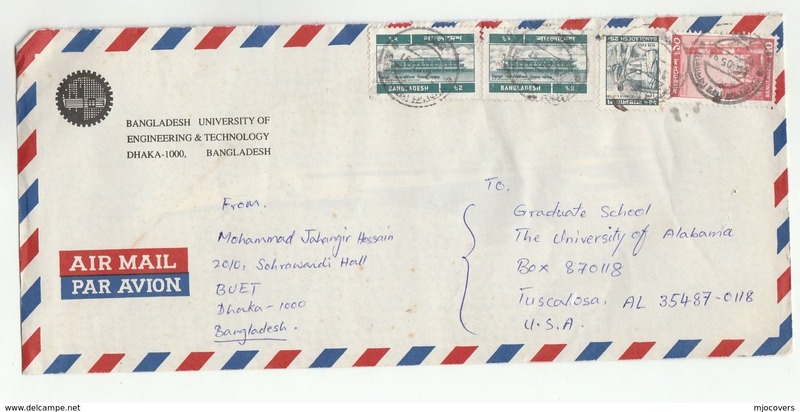 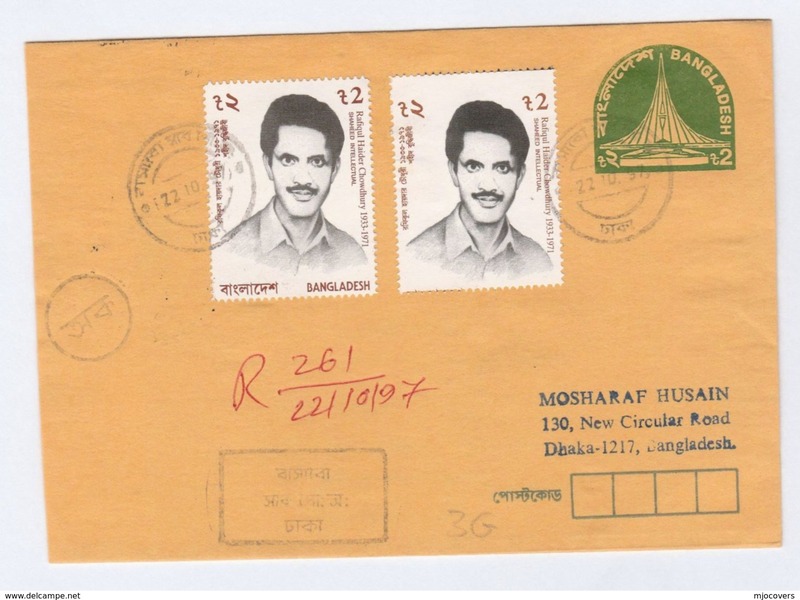 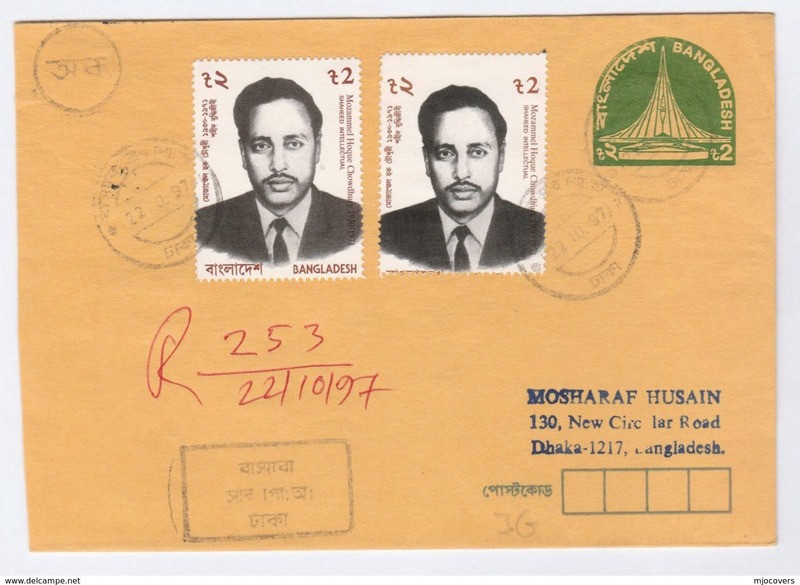 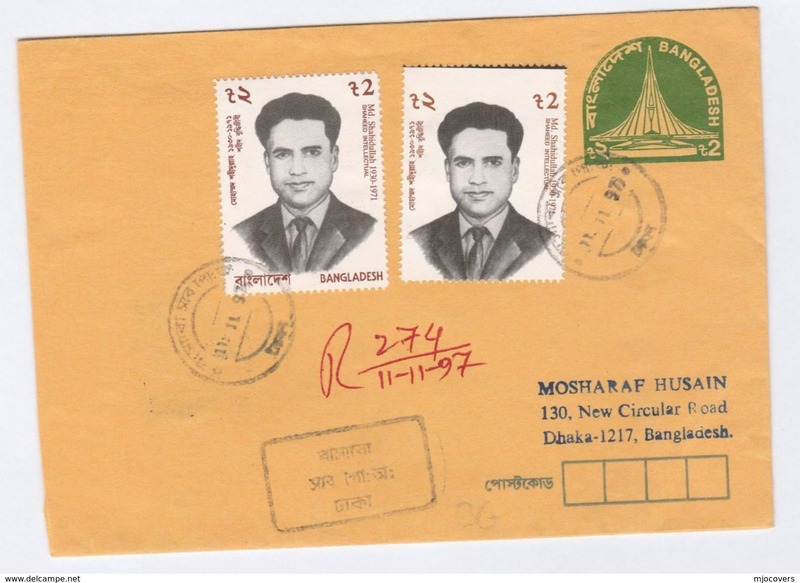 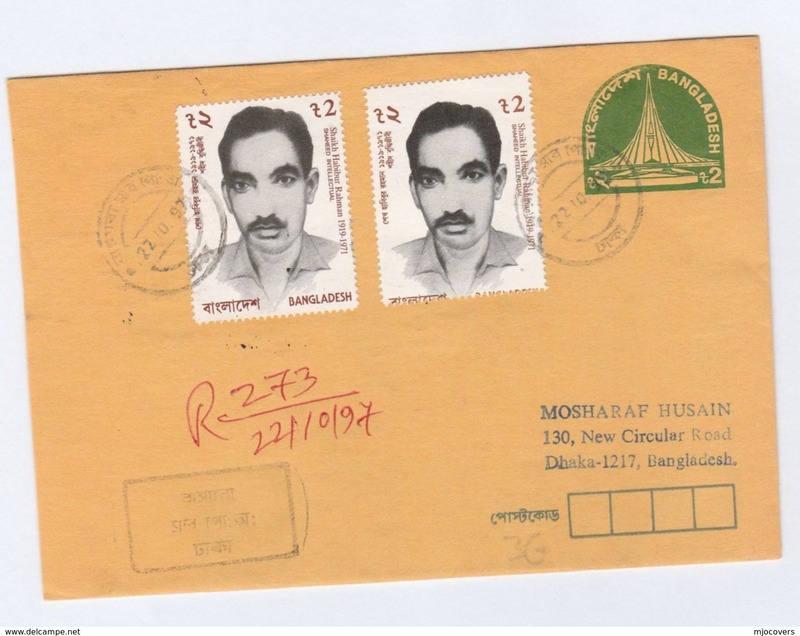 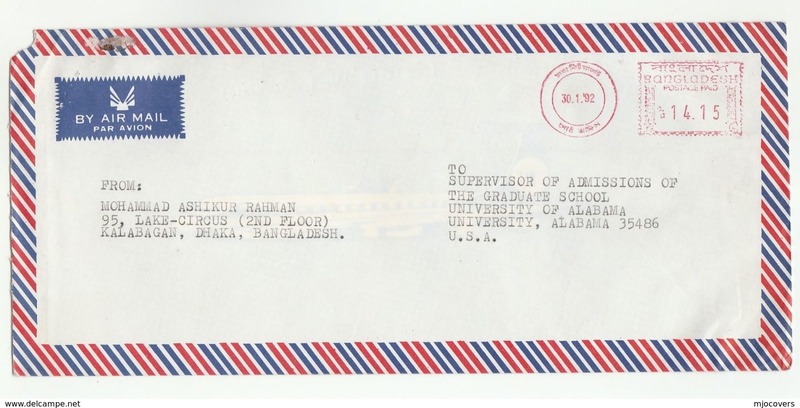 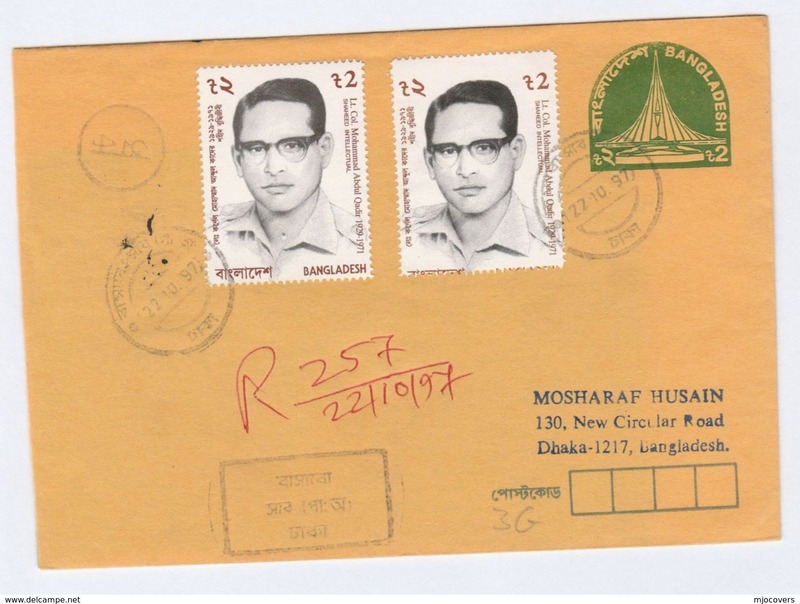 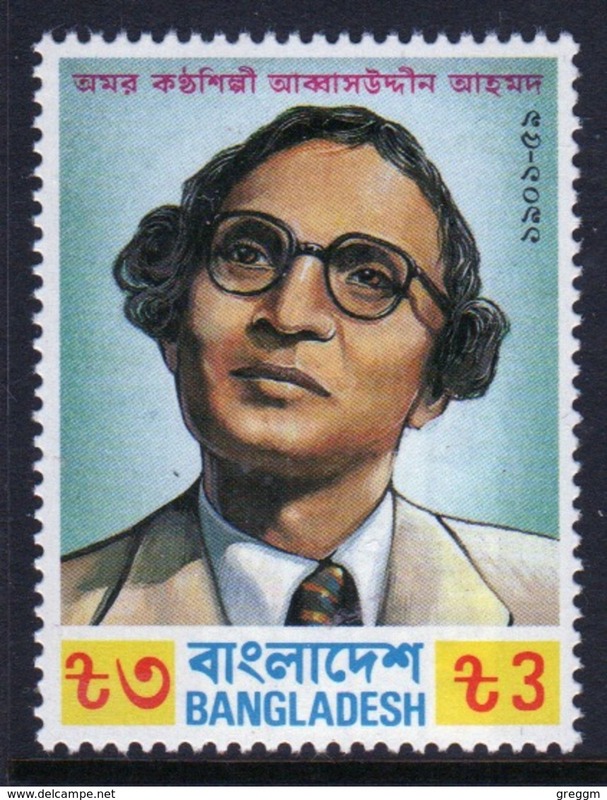 Bangladesh 1984 single stamp to celebrate commemoration of Abbasuddin Ahmad. 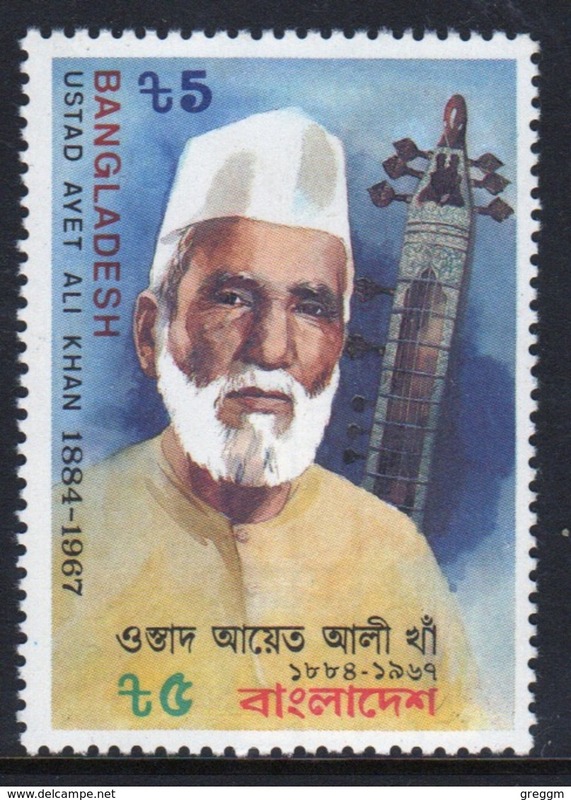 Bangladesh 1987 single stamp to celebrate 20th Death Anniversary of Ustad Ayet Ali Khan. 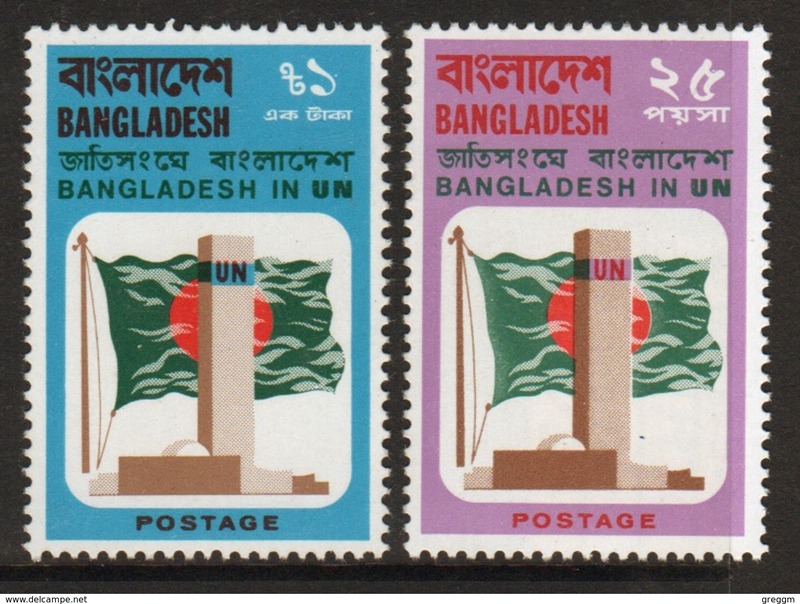 Bangladesh 1974 set of stamps to celebrate Admission to the UN. 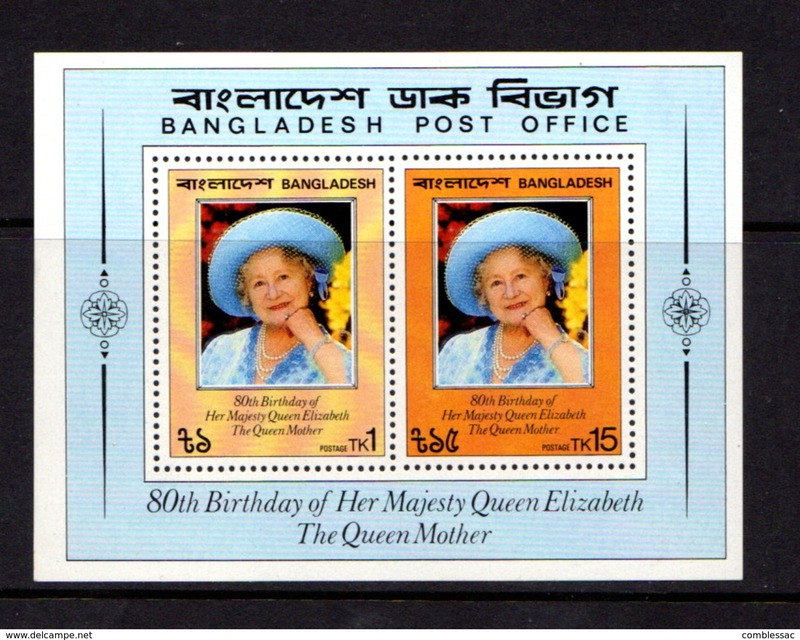 Bangladesh 1978 set of stamps to celebrate 25th Anniversary of the Coronation. 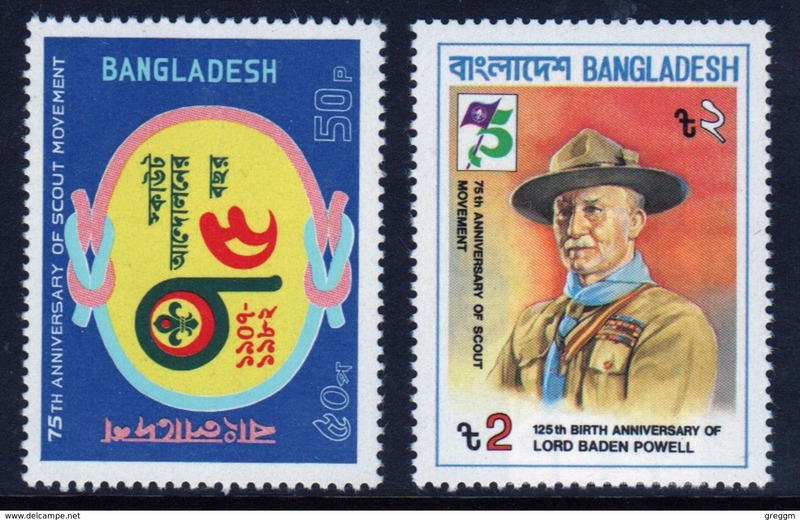 Bangladesh 1982 set of stamps to celebrate 75th Anniversary of the Boy Scout Movement. 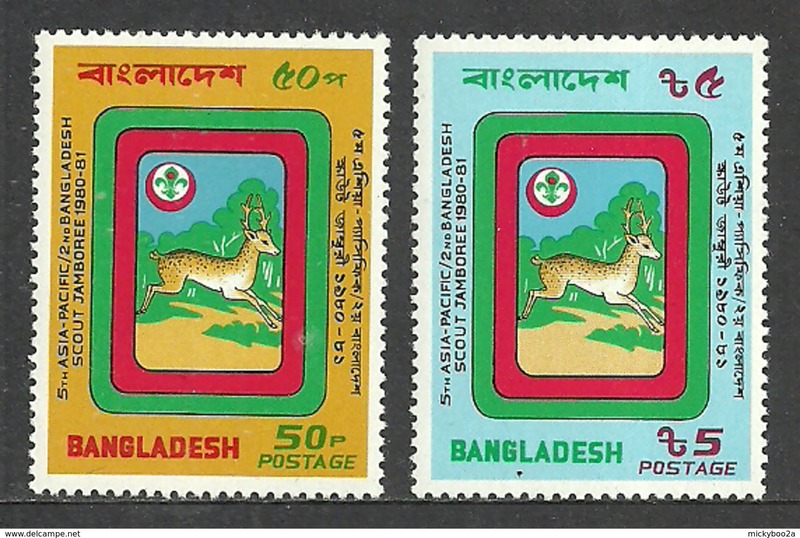 Bangladesh 1974 set of stamps to celebrate Wildlife Preservation.